Beware Nanuk, the great polar bear, who can end any hunt in failure. If you find an inuksuk, it will protect you – once. 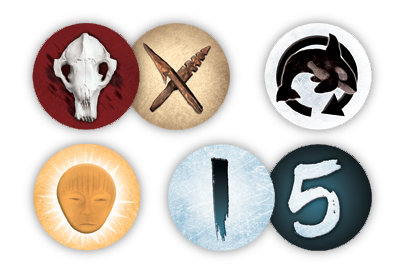 If the hunt is successful, the hunters share the animals collected. But if the hunt fails, the doomers score instead. Check out the promo card. Take a look at this review (PDF format) from Game Trade Magazine! 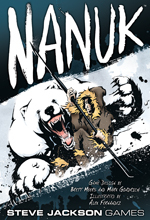 December 9, 2009: Nanuk Unboxed! 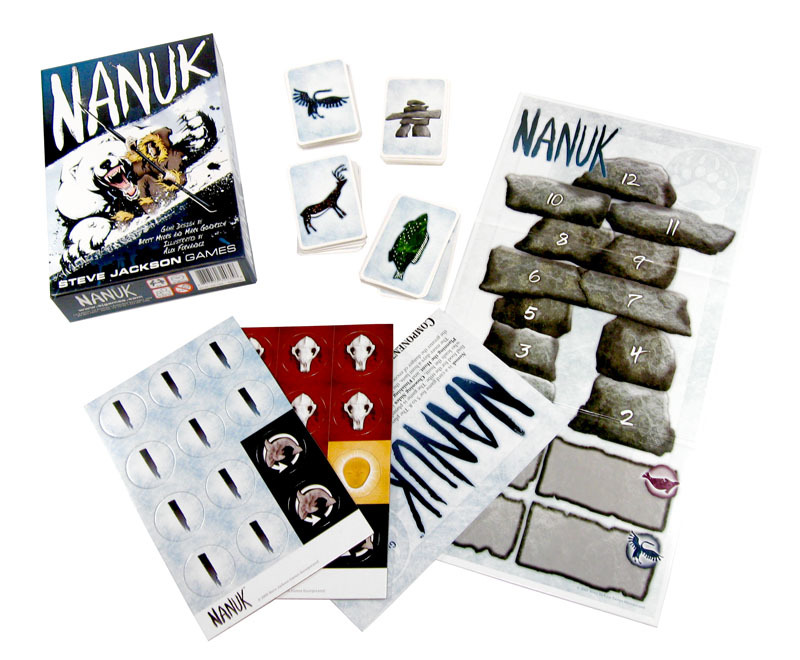 December 3, 2009: Play Nanuk Now!